The Horinko Group is pleased to welcome three new senior advisors to our extended team, strengthening our firm’s cross-cutting capabilities in energy, water, green infrastructure, resource planning, and environmental law. 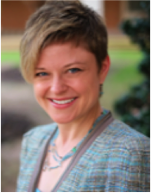 Emily Hammond, Associate Dean for Faculty Engagement and Professor of Law at The George Washington University Law School joins THG as Senior Advisor for Energy/Electricity, Water Quality/Use, and Regulatory Decisionmaking. Ms. Hammond is a nationally recognized expert in energy law, environmental law, and administrative law and as a former environmental engineer brings technical fluency to cutting-edge issues at the intersection of law, science, and policy. Seth Brown is Principal and Founder of Storm and Stream Solutions, LLC, a consulting firm providing a range of services from policy and infrastructure finance analysis in the stormwater sector to the development and delivery of technical and policy-related training focused on stormwater topics. 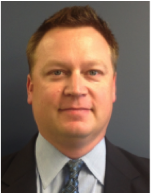 Mr. Brown joins THG as Senior Advisor for Stormwater/Green Infrastructure, Public-Private Partnerships, & Economics. 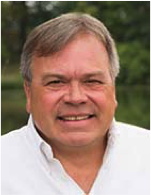 James Hill, Principal, JM Hill Consulting has over thirty years of federal public service with the U.S. Army Corps of Engineer as a professional water resources planner and operational manager. Recently retired from the Corps, Mr. Hill has long been recognized as a national expert in operational master planning within the Corps. Jim serves as THG’s Senior Advisor on Water Resources Planning and Development.